Peeter Ross is a professor of e-health and senior research scientist in eMedicine Lab of Tallinn University of Technology. 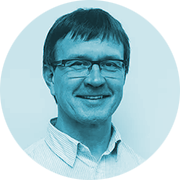 Peeter also serves as an e-health expert at Estonian E-Health Foundation and holds radiologists position in East Tallinn Central Hospital, Estonia. He is a founder and member of the board of e-health and radiology consulting company SMIS International OÜ and OÜ Safe To Act. Dr. Ross has previously worked as a Director of R&D and a Head of Diagnostic Clinic in East Tallinn Central Hospital. He has been a member of the supervisory board of the Estonian E-Health Foundation and Estonian Health Insurance Fund. Peeter Ross studied medicine in Tartu University, Estonia, and in Helsinki University, Finland 1985-91. Dr. Ross completed residency in radiology in Tartu University in 1996. He studied radiology in Oulu University, Finland, and in Armed Forces Institute of Pathology, Washington DC, USA, as well as health care management in INSEAD, France. He received PhD degree in Medical Engineering in Tallinn University of Technology in 2011. The title of his thesis work was Data sharing and shared workflows in medical imaging. His current research topics are medical terminology, integration of home monitoring data with large scale health databases and citizen on-line access to personal health related data. Peeter Ross has participated in EU funded eHealth projects InterregPacs, Baltic eHealth, R-Bay, Dreaming, Regional Telemedicine Forum, epSOS, eMedic and Chromed. Peeter Ross is a past president (2005-2011) of Estonian Society of Radiology.